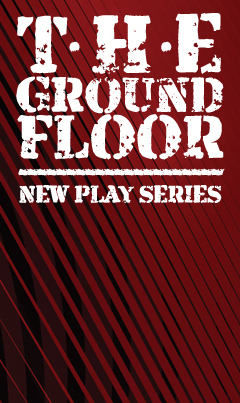 Through The Ground Floor Reading Series, Boston Playwrights’ Theatre MFA Playwriting students will present the full-length works they've been developing over the past year. Also part of the April 23 - May 6 program are new, ready-for-production works by New England playwrights and Boston Playwrights’ Theatre alumni. All readings are free and will be followed by discussions with the playwrights. Reservations can be made online only by visiting bostonplaywrights.org. All performances begin at 7 p.m.
Molly Murphy goes home to Somerville where she’s pulled right back into all the grievances she’d hope to escape. Unspoken issues of money, drugs, and alcoholism hang in the air until the Murphy’s are forced to confront them on Christmas Eve. 24 hours. Hurricane Katrina. The staff at Memorial Hospital must make decisions about who to save in this searing drama inspired by true events. The survivors and loved ones search for the truth in the aftermath. Something went wrong, but Finn's not talking. Instead, he's retiring, and Parker needs to know why. But trust doesn't come easy at the CIA, and as the two operatives match wits, it becomes clear that they may not even be on the same side. A modern-day spook story that asks how you move on from a life lived in shadow. Three courageous women flee scandal and the rigid rules of 19th century Boston society to find love and success in Rome. Gifted sculptors Emma, Harriet and Edmonia join forces to fight convention and for the right to preserve--for all of us—their own trailblazing legacy. Based on true events. In a family where blood has run thinner than water, Alethea Grove must return home after the death of her Grandfather. But it seems that the closets are filled with more than linen, and her inheritance isn't what she expected. "Once Upon A Pantry" by John Zakrosky, Jr.
Mia wants to move to Los Angeles, but her mother wants her to stay in Boston. Lost love, a priceless samovar and betrayal are all waiting to be discovered in the pantry. A sweet and funny play about learning to let go. Sean is dying. Rachel and her mother Helen go on vacation to surf and help his family cope. But who are they really helping? A very funny play about coping with death, the failings of memory, and paintball. The past reverberates like a shotgun blast in this fast-paced drama about the emotional chaos that ensues when love, fear and the need to protect each other collide. Christina's sense of contentment with the world she has built for her daughter is shattered in a moment, and she must seek the truth in her past to save her family. In this dark comedy, all that young Simon wants for Christmas is to receive the stigmata and become God’s prophet. If religious fervor has anything to do with it, he’s a shoe-in. So when the mysterious Harbinger appears to him in the Walmart parking lot, God seems to have answered Simon’s prayers with an angel. Or has He? Winner of the 2009 John Gassner Playwriting Award. How far would you go to stop the pain of losing someone you love? Four old friends gather on the coast of the Gulf of Mexico to celebrate their friendship. Is it fate, coincidence or choice they're there on the eve of a monster hurricane bearing down on the Texas coastline? It’s raining again in 1946 Moonlight, Mississippi -- and Evans has been sober for months. He’s just now pulling himself out of the rising water when the Boy shows back up in his kitchen wanting food and talking floods. Dark secrets from years ago just won’t stay down, much like guilt and retribution. A Southern Gothic ghost story. Kitty, an up-and-coming TV journalist, brings her hunky evangelical Christian boyfriend home to her Upper Eastside parents with volcanic results. This family comedy plays out against the backdrop of potential war in the Middle East, radical Islamists in Turkey, and Kitty’s mom trying to find a burka that flatters her youthful figure. Algy wants a puppy. His single dad Bill wants Algy to stop dreaming and learn to hit a nail straight. But when Bill forcefully evicts their tenant and her 14 dogs, Algy runs away with her instead. A singing Police Chorus keeps tabs as Bill tracks his son down and forces him to make a deadly choice of loyalties. Dave is afraid of everything, and his wife Sonia is afraid of nothing…except losing her husband. But Dave's paranoia may have transformed him into a force of true danger. This is a couple struggling to survive in a society that thrives on fear in a Bush-era Wonderland. This dark and sometimes comic love story blurs the lines between reality and fantasy. Boston Playwrights' Theatre is located at 949 Commonwealth Avenue in Boston.